We are one of the LEADING SUPPLIERS of Optical Displays and Solutions. We are MANUFACTURERS & EXPORTERS of Optical Display Solutions in India. We provide CUSTOMIZED Solutions. We are known for our Good Quality, Creativity, Reliability andService. We offer the widest range of innovative and high-quality Portable Bag Sets for storing Eyewear Frames and Sunglasses. There are a variety of Portable bag sets used for marketing to carry Frames and Sunglasses, by Eyewear retail showrooms and wholesaler. We use the best technology for manufacturing and advanced in designing, our bag sets are available in different sizes and specifications and can be customized according to clients requirement. For Bag Sets we use the best quality of Matty, Rexin, Taffeta, Leather and Micro material, it is high in quality standard and also helps to protect and finishing of the product looks elegant. 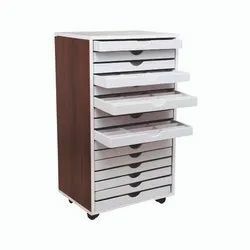 We offer the widest range of innovative and high-quality Optical Portable Storage for storing Eyewear, Frames, and Sunglasses. 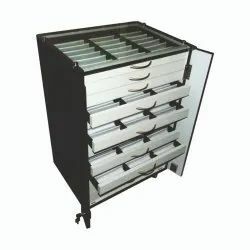 There are a variety of Portable Storage used for marketing to carry Frames and Sunglasses. 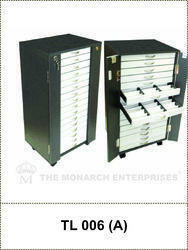 These portable Storage are used to carry Frames and Sunglasses to customers by retail showrooms and wholesalers. We use technically advanced technology to design these portable storage units. These bag sets are available in different sizes and specifications and can be customized according to your specific requirement. 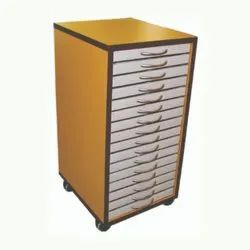 We use Matty, Rexin, Taffeta, Leather, Wooden, Glass, Stainless Steel Micro material to manufacture Portable Storage. These Trolleys and Bag Sets are extremely high in durability and design. They help protect the finishing of the products along with enhancing the overall look and feel. We are known for our Good Quality, Creativity, Reliability, and Service. We offer the widest range of innovative and high-quality Portable Bag Sets for storing Eyewear, Frames, and Sunglasses. There are a variety of Portable bag sets used for marketing to carry Frames and Sunglasses. 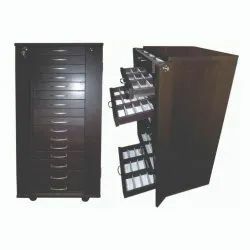 These portable Storage Bag Sets are used to carry Frames and Sunglasses to customers by retail showrooms and wholesalers.We use technically advanced technology to design these portable storage units. These bag sets are available in different sizes and specifications and can be customized according to your specific requirement.We use Matty, Rexin, Taffeta, Leather and Micro material to make our Bag Sets. These Bag Sets are extremely high in durability and design.They help protect the finishing of the products along with enhancing the overall look and feel. We are known for our Good Quality, Creativity, Reliability and Service. We are known for our Good Quality, Creativity, Reliability, and Service. We offer the widest range of innovative and high-quality Portable Bag Sets for storing Eyewear, Frames, and Sunglasses. There are a variety of Portable bag sets used for marketing to carry Frames and Sunglasses. These portable Storage Bag Sets are used to carry Frames and Sunglasses to customers by retail showrooms and wholesalers.We use technically advanced technology to design these portable storage units. These bag sets are available in different sizes and specifications and can be customized according to your specific requirement.We use Matty, Rexin, Taffeta, Leather and Micro material to make our Bag Sets. These Bag Sets are extremely high in durability and design. They help protect the finishing of the products along with enhancing the overall look and feel. We are known for our Good Quality, Creativity, Reliability and Service. We are known for our Good Quality, Creativity, Reliability, and Service. We offer the widest range of innovative and high-quality Portable Bag Sets for storing Eyewear, Frames, and Sunglasses. There are a variety of Portable bag sets used for marketing to carry Frames and Sunglasses. These portable Storage Bag Sets are used to carry Frames and Sunglasses to customers by retail showrooms and wholesalers.We use technically advanced technology to design these portable storage units. These bag sets are available in different sizes and specifications and can be customized according to your specific requirement.We use Matty, Rexin, Taffeta, Leather and Micro material to make our Bag Sets. These Bag Sets are extremely high in durability and design.They help protect the finishing of the products along with enhancing the overall look and feel. Dimension : 42.5" x 20.5" x 16.5"
Dimension : 42. 5" x 20. 5" x 16. 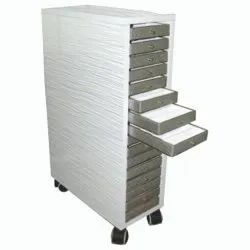 5"
Looking for Portable Optical Storage Trolleys ?